And the Taiwanese have asked all concerned parties to shelve there disagreements for talks. 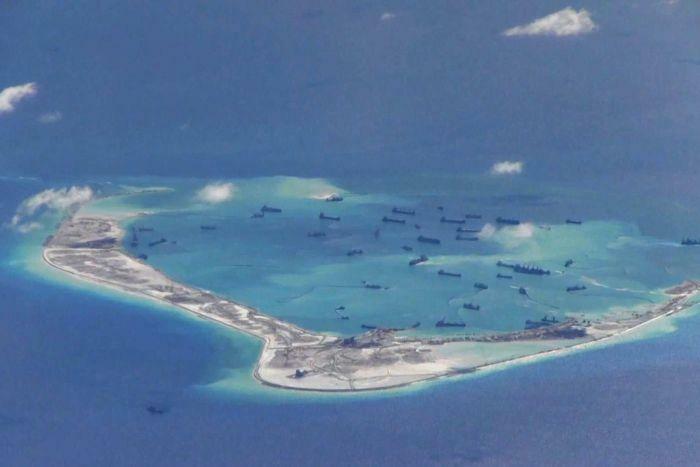 The United States has called for an immediate end to China's intensifying reclamation works in the South China Sea and vowed to continue sending military aircraft and ships to the tense region. US defence secretary Ash Carter told a high-level security conference in Singapore that Beijing was behaving "out of step" with international norms. But this drew a scathing response from China's foreign ministry in Beijing. "China has reclaimed over 2,000 acres, more than all other claimants combined ... and China did so in only the last 18 months," Mr Carter said at the annual Shangri-La Dialogue in Singapore. "It is unclear how much farther China will go." He said the United States was "deeply concerned" about the scale of China's land reclamation and the prospect of further militarization of the islands, saying it would boost "the risk of miscalculation or conflict". A Chinese delegate at the forum initially gave a measured response, in which he said Mr Carter's comments were not as hostile as those made at the Shangri-La Dialogue in previous years, but the foreign ministry reacted strongly. 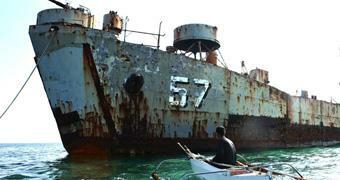 Foreign Correspondent visits the remote reef flashpoint where Filipino marines hold out against the Chinese navy. "The United States disregards history, legal principles and the facts," spokeswoman Hua Chunying said. "China's sovereignty and relevant rights were established a long time ago in the South China Sea," she said, adding that China's island-building is "legal, reasonable, conforms to the situation and neither impacts nor targets any country." Despite the rhetoric, Mr Carter said there was no military solution to the South China Sea disputes. "Right now is the time for renewed diplomacy, focused on a finding a lasting solution that protects the rights and interests of all," he said. Admiral Sun Jianguo, the head of Beijing's delegation, addresses the conference on Sunday. China took a measured tone after bilateral meetings with Japan and Vietnam on Friday, two of the states it is embroiled with in maritime sovereignty disputes. In his speech, Mr Carter urged China and the 10-member Association of Southeast Asian Nations (ASEAN) to adopt a "code of conduct" in the disputed waters this year. According to state news agency Xinhua, China's vice foreign minster said the code was "meant to be a set of rules for China and countries in this region rather than rules set by outsiders for us," adding that "positive progress" had been made. Meanwhile, Japan and China both claim islands that lie between them in the East China Sea. But earlier this week, Beijing was assertive about the disputes. 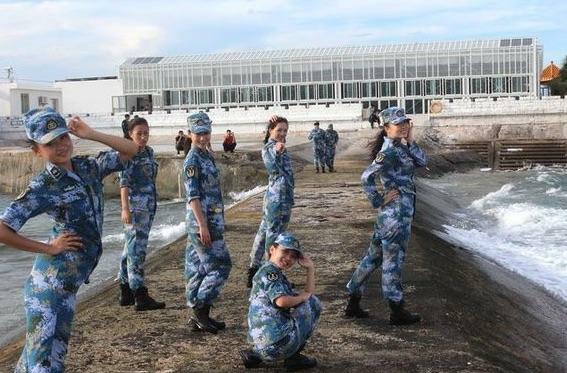 In a policy document issued by the State Council, the country's cabinet, China vowed to increase its "open seas protection", switching from air defence to both offence and defence, and criticised neighbours who took "provocative actions" on its reefs and islands. Mr Carter's remarks in Singapore came a day after the Pentagon confirmed reports that China had put mobile artillery at one of its reclaimed islands in the South China Sea. The US defence chief insisted US forces would continue to "fly, sail and operate" in the region to ensure the freedom of navigation and overflight permitted by law. "America, alongside its allies and partners ... will not be deterred from exercising these rights," Mr Carter said. "Turning an underwater rock into an airfield simply does not afford the rights of sovereignty or permit restrictions on international air or maritime transit." Japan's defence minister said China and other parties in the dispute had to behave responsibly. "If we leave any unlawful situation unattended, order will soon turn to disorder, and peace and stability will collapse," Gen Nakatani told the forum. Malaysia's defence minister, Hishammuddin Hussein, urged all parties in the South China Sea dispute to exercise restraint or face potentially dangerous consequences. "This has the potential to escalate into one of the deadliest conflicts of our time, if not history," he said. "Inflamed rhetoric does not do any nation any good." Chinese = kunts of the world, with the Russians a close second behind them. I urge you to find somebody who actually likes mainland China or its people. I've asked dozens and dozens of people in various Asian countries and they all say "no, don't like". Great people as friends, make a friend of a Chinese person you have a friend for life. Best become accustomed to the idea. 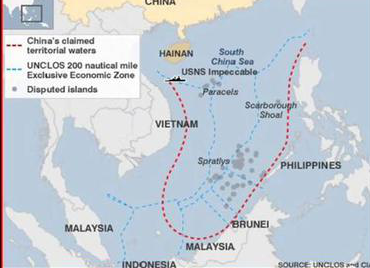 Recently at a 2015 IISS Shangri-La Dialogue, The 14th Asia Security Summit, the USA Government Officer, a US Defense Secretary Ashton Carter, outlined why China et al should halt development of islands in the South China sea. "an immediate and lasting halt to land reclamation by all claimants"
,""We have some activities to enhance and consolidate the islands that are under our sovereignty. We do not expand the islands, we just consolidate to prevent erosion because of waves". "If unnecessary anxiety by the U.S. and oversensitivity to the South China Sea issue is developing to the severity that hurts the stability and development of the Asia-Pacific region, it will run against the common aspiration of the people and countries of the Asia-Pacific region and be detrimental to the United States itself. On the whole, the China-U.S. relationship is developing on a steady track, the stability brooks no disturbance or troublemaking. More importantly, both sides should properly handle disputes so as not to distract the overall direction of the bilateral ties. The world's most important bilateral relationship deserves to be cherished. 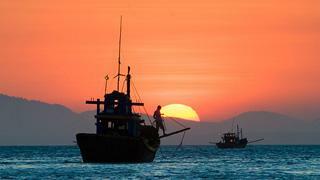 The South China Sea issue will not and should not become an obstacle of the China-U.S. ties. Washington should be aware of this and be discreet in its words and deeds." "China - we note for the purposes of historical accuracy and fairness - formally ratified the United Nations Convention on the Law of the Sea for all nations a long time ago, but the US still withholds ratification. Over the years obstructionists in the US Senate have withheld formal ratification on the grounds that American interests might not have unimpeded sway due to UNCLOS. The whole point of international laws is that they are designed to compel compliance by all nations, and not play favorites"
"Rather than raise its South China Sea profile, the US should bob and weave out there with the utmost care, no matter how allegedly saintly its intentions." "We are concerned by U.S. policies in the region, especially since every day it becomes increasingly focused on a systemic containment of Russia and China… Despite our concerns about the U.S. global missile defense architecture, they continue a policy of disrupting strategic stability, adding a regional segment of an anti-missile ‘shield’ in the Asia-Pacific. An epidemic of ‘color revolutions’ swept the Middle East and, like a hurricane, wiped out several states in the region. This disease went across several European countries, where events are freely controlled from the outside." As you can see a number of countries have "developed their" islands. Last edited by OhOh; 04-06-2015 at 02:38 PM. Except that is basically what Russia, and now China, has been engaging in. You never forget Israel, Mr G. Good on you. China's 9.6 Million km2 land is home to 1.355 Billion citizens = approx population density 141 people /km2. Israel's 22,000 km2 land is home to 7 Million = approx 318 people/km2. Of course Gaza's 25,000 people/km2 is simply deplorable. Then again Macau is at 170,000/km2...Hong Kong 46,000/km2...Singapore 46,000/km2...unbelievable, wouldn't one know ? Saudi Arabia 85 people /km2. They want nothing to do with their Arab brothers...nothing, strange that. Last edited by PeeCoffee; 08-06-2015 at 09:52 AM. BEIJING (DPA) — China's land reclamation in the South China Sea will "be completed in the upcoming days," state-run media said Tuesday, as the project has increased tensions in disputed areas. China will now start to build facilities, Foreign Ministry spokesman Lu Kang was quoted as saying by Xinhua news agency. "Apart from satisfying the need of necessary military defense, the main purpose of China's construction activities is to meet various civilian demands and better perform China's international obligations and responsibilities," he said. Those include search and rescue, disaster prevention, scientific research, meteorological observation, environmental conservation, navigation safety as well as fishing management, Lu said. 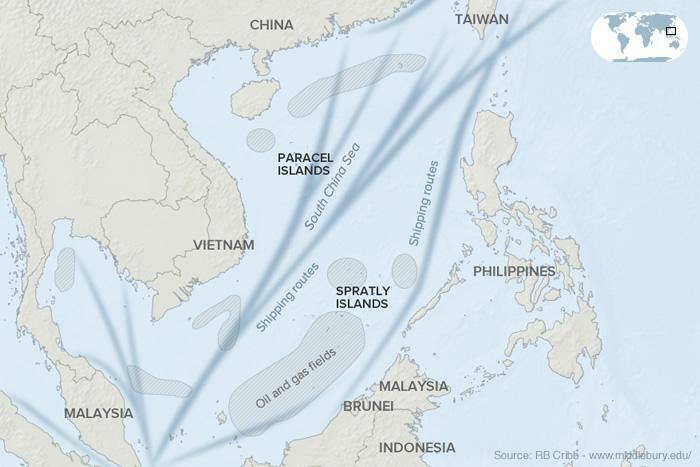 China has drawn criticism for building airstrips and buildings on reefs in parts of the South China Sea far beyond its shoreline, including in territories administrated by its neighbours. 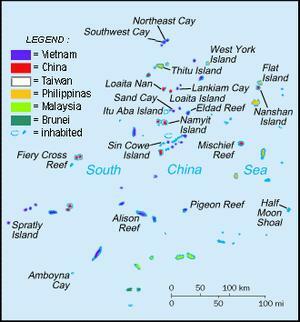 They include the Spratly Islands and the nearby Paracels, known to the Chinese as the Nansha and Xisha, respectively. 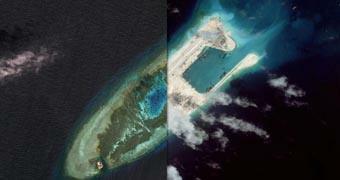 Lu said construction on the Nansha islands and reefs was "lawful, reasonable and justified." They must have a committee to dream up all the most idealistic reasons they can think of....a bit like the Japs doing "scientific research" whilst actually whaling. The NYT suggests that the Chinese have folded due to the immense US pressure. But then the USA is an exceptionally powerful country that all must kow tow too. Photos, not from 25 miles via an "Exceptional" countries satellite, but actually a person, with his mobile phone at ground level. The beach building is finished, the hotel, maybe, a few recliners and palm trees have yet to be delivered, but the first charter flight has arrived in the South China Sea resort. The adds for waitresses, chambermaids and hostesses are appearing in the Bangkok Post Friday. Last edited by OhOh; 24-06-2015 at 11:22 AM. It seems the japanese, along with thier best "exceptional buddy" have also taken a similar view on "rocks/Island" reconstruction. To the annoyance of the Chinese. "Two disputed geographic features in the South China Sea that are the focus of island-building by the People’s Republic of China (PRC), Fiery Cross and South Johnson Reef, were both originally endowed with natural pre-existing rocks protruding above the waterline at high tide. That’s big news"
"But there is a shadow over the Philippines’ prospects. Until the Fiery Cross project builds out, Okinotorishima stands as the biggest island-building project in the Western Pacific. By Japan. Over 1000 miles south of Tokyo. Over three decades, Japan has poured a reported $600 million dollars into forestalling the erosion of a couple of rocks no bigger than a studio bedroom at high tide." "Islands and rocks are addressed in one section of the UNCLOS treaty, Article 121, Regime of Islands. Unfortunately, Article 121 is something of a syntactical train wreck and was reportedly a candidate for amendment or partial deletion during the original drafting process. It created a useful loophole for Japan to protect the strategic value of its sizable investment in Okinotorishima. China (asserts) “Okinotori-shima is a rock, not an island, and the EEZ which is measured by a rock as the base point should not be recognized,” and has continued to conduct its marine survey activities inside that EEZ. So, Okinotorishima isn’t “rocks”; it’s “an island”, or at the very least it’s “not definitely rocks” according to the public declaration of the Japanese government and a lot of careful parsing by Japanese academics. And by the Japanese government’s interpretation of Article 121, only uninhabited “rocks” can’t have EEZs. Uninhabited “islands” can. So Okinotorishima is entitled to a 200 mile EEZ. And no one can say them nay. And the way to make it more “islandy” is through … island building." Two US B-52 strategic bombers flying near Chinese manmade islands in the South China Sea recently were contacted by Chinese ground controllers but continued their mission undeterred, the Pentagon said. "We conduct B-52 flights in international air space in that part of the world all the time," Pentagon spokesman Peter Cook told a briefing. In the latest mission, which occurred overnight on November 8 and 9, the bombers flew "in the area" of the Spratly Islands but did not come within the 12-nautical-mile zones that China claims as its territory, Pentagon spokesman Commander Bill Urban said. "The B-52s were on a routine mission in the SCS (South China Sea)," taking off from and returning to Guam, Mr Urban said. Chinese ground controllers contacted the bombers but the aircraft continued their mission unabated, he said. The latest US patrol in the disputed South China Sea occurred in advance of president Barack Obama's visit to the region next week to attend Asia-Pacific summits where he is expected the re-assert Washington's commitment to freedom of navigation and overflight in the area. White House spokesman Josh Earnest said he did not know whether the South China Sea would be on the formal agenda at any of the three Asia summits, but added it would be "on the minds and lips" of world leaders who gather there. China claims most of the South China Sea through which more than $5 trillion in global trade passes every year, and the US has said it will continue conducting patrols to assure unimpeded passage. Vietnam, Malaysia, Brunei, the Philippines and Taiwan have rival claims in the region. Last week, a top US admiral said in Beijing the US military would continue to operate wherever international law allows after infuriating China by sailing close to artificial islands it is building in the South China Sea. "The South China Sea is not — and will not — be an exception," he said. In late October, the USS Lassen guided missile destroyer travelled within 12 nautical miles of at least one of the land formations China claims in the disputed Spratly Islands. The US and Chinese navies recently held high-level talks after the challenge, with a US official saying they have agreed to maintain dialogue to avoid clashes. So "barren" that Ameristan is willing to fight for them. Or is their desire to "uphold international law"? The pertinent one they are "upholding" they are not signatories too. control the seas right next to vietnam, philippines and malaysia and the viets, malays and flips would be sooking but they did not have the balls to man up. good on the yanks,the spratleys are about chinese as i am. ps, i am right and white. It is not a very Chinese name is it. They sound British to me. They sound British to me. Long, long ago the British named most of the worlds islands and made the maps. it was part of their gift to the world. Prior tho that the Spanish and Portuguese. Prior to that, in Asia, the Chines named all the islands. Don't believe that everyone in the world falls for the British version of place names, laws, history and maps. Not many new names from the UAE, Unexceptional American Empire though. For all the "fighting talk" eminating fro Ameristan and it's vassal state Philippine it appears Vietnam, Singapore and Pakistan can't wait to sign up deals with China. Expanding the Free Trade Agreements, not sure how the TPP fits in with these types of previously agreed procedures. Pakistan leasing, for 43 years, a port on the Arabian Gulf, shades of Hong Kong. All this country to country talking, signing deals, expanding ties and not a drone in sight. "BEIJING, Nov. 11 (Xinhua) -- China's Belt and Road initiative, highlighted during President Xi Jinping's visit to Vietnam and Singapore last week, is set to boost bilateral ties and facilitate trade and investment between China and Southeast Asian nations. During Xi's three-day trip, China and Vietnam reached consensus on expanding cooperation within the framework of the initiative and Vietnam's "Two Corridors and One Economic Circle" plan, as well as on production capacity cooperation. In a 20-point statement, China and Singapore agreed to cooperate in Belt and Road construction, trade, city planning, education and customs, among others." SINGAPORE, Nov. 7 (Xinhua) -- Singaporean Prime Minister Lee Hsien Loong has said he had a fruitful meeting with Chinese President Xi Jinping on Saturday, and President Xi's visit has further deepened bilateral warm and substantial ties. Lee updated his Facebook account Saturday, saying Singapore has signed several agreements with China, including the third government-to-government project in Chongqing, launching the upgrade of the China-Singapore Free Trade Agreement, collaboration on education, urban management and customs, which will open up more opportunities for mutual exchange, trade, investments and development." "Pakistani authorities will formally hand over 2,281 acres of Gwadar Port’s free trade zone on a lease of 43 years to the Chinese state-owned company, China Overseas Ports Holding Company on November 11, 2015. Wang Xiaotao, Chinese Vice Chairman of National Development and Reform Commission, will lead a delegation of top-level officials and private companies leaders to attend the hand-over ceremony. Ahsan Iqbal, Pakistani Federal Minister for Planning, Development and Reform will also attend the ceremony. A high level meeting of both authorities will be held in Karachi on November 12 to complete the formalities. The Pakistani government has already declared Gwadar port a free trade zone for the next 23 years. The scheme is part of the China-Pakistan Economic Corridor (CPEC), an ambitious $46 billion investment plan linking western China to the Arabian Sea with infrastructure, energy and transport projects." A trans - shipment point on the Arabian Sea is now available for Chinese and other Asian countries to bypass the Malacca Straights, along with the Ameristan navy, if it is commercially suitable. Asia is surely the place to be these days. Last edited by OhOh; 16-11-2015 at 01:34 PM. linking western China to the Arabian Sea with infrastructure, energy and transport projects." A lot of the mineral wealth from Tibet will travel through here. Who cares what goes through it as long as it isn't weapons, drugs or Thai masseuse.